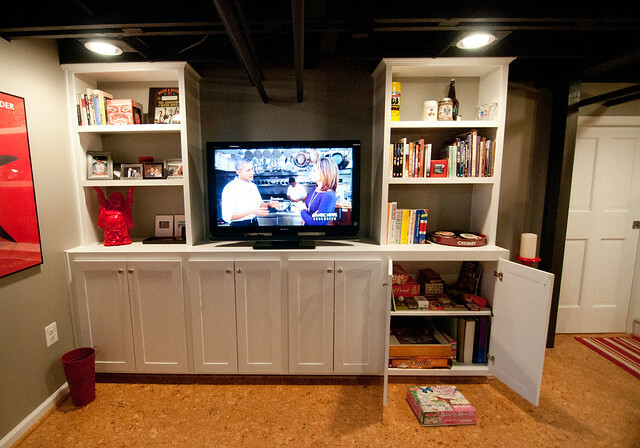 When they bought their house, the basement was not a place you’d want to hang out — old linoleum floors, drop tiled ceiling, drafty windows and poor lighting. They hired MW Construction Services to help them with the reno. 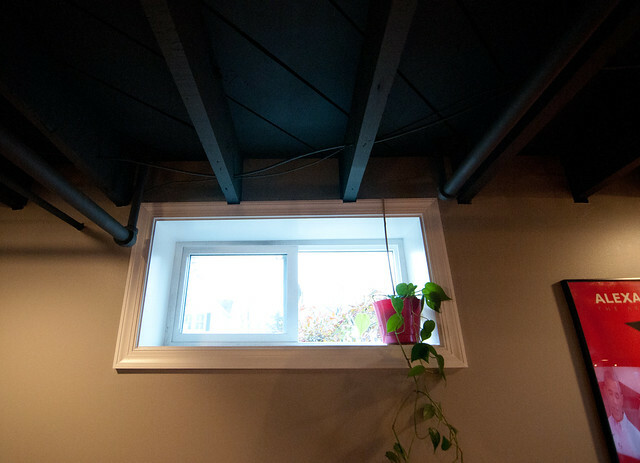 One of the main issues was the ceiling — because of the pipes and ducts and the ceiling built around these, Matt (who is well over 6 feet tall) had a difficult time accessing the basement. They decided to remove the ceiling all together, going for an exposed industrial look, with the joists and pipes painted a dark grey. 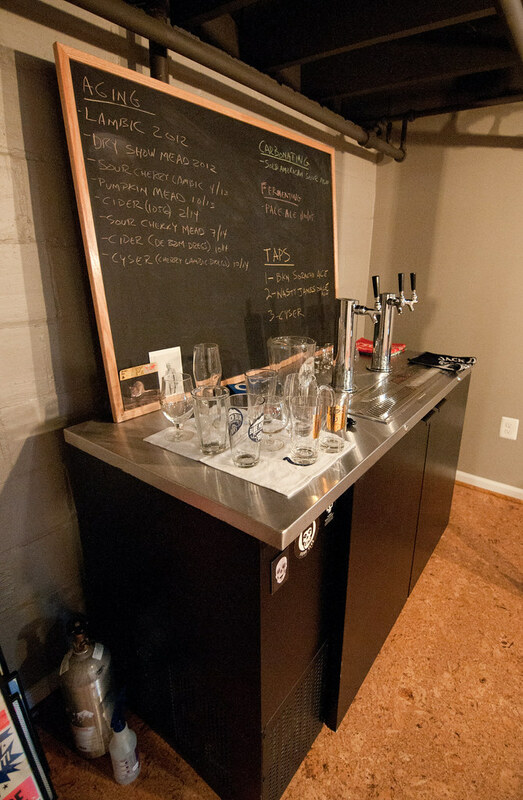 The highlight of the room is the commercial-grade 3-tap kegerator, which at the time of our visit (their annual Super Bowl party) was serving two home-brews and a purchased keg. No thanks to a measuring snafu, the kegerator was so large they couldn’t get it into the basement without taking off the outside basement door and frame. The door was old and flimsy (holes had been covered in duct tape to keep out the draft) and their contractor was unable to put it back on, so they ended up buying a whole new door, an unexpected expense, but necessary in the long term. 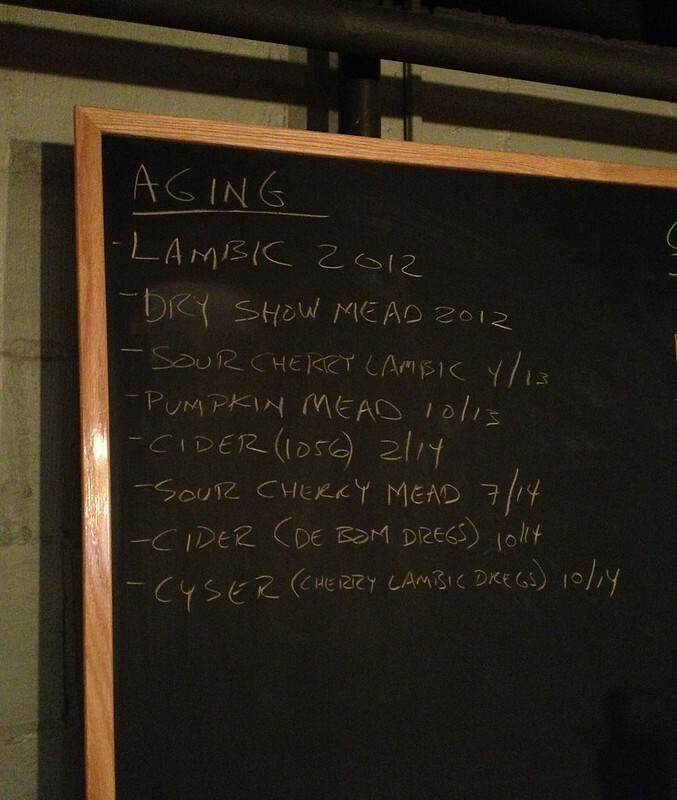 Matt keeps a chalkboard against the wall to keep track of all his beer — what’s currently on tap, what’s fermenting in the spare fridge in the utility room and what’s aging in the crawlspace behind the bar. 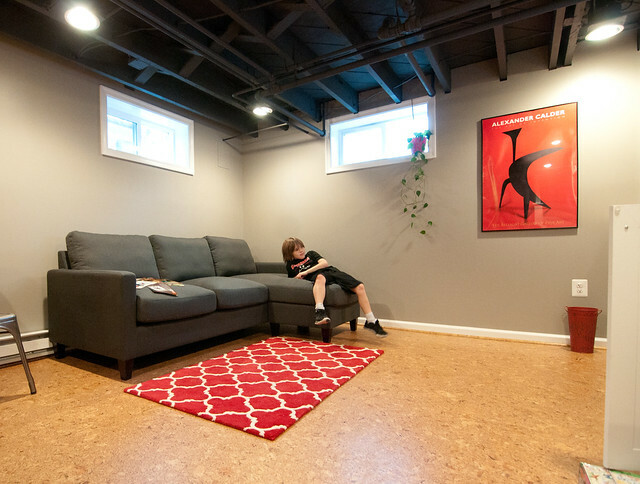 They added cork flooring (from Lumber Liquidators), all new windows and an l-shaped sofa on the lounge side. 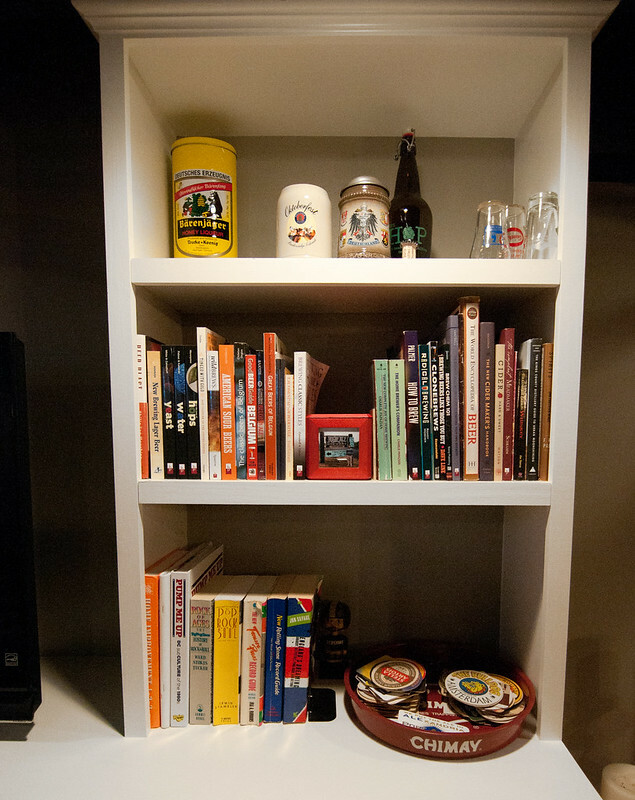 Not part of their original plan, they decided near the end of the project to have their contractor install custom built-in cabinets and shelves with space for games and Matt’s beer brewing books and accessories. 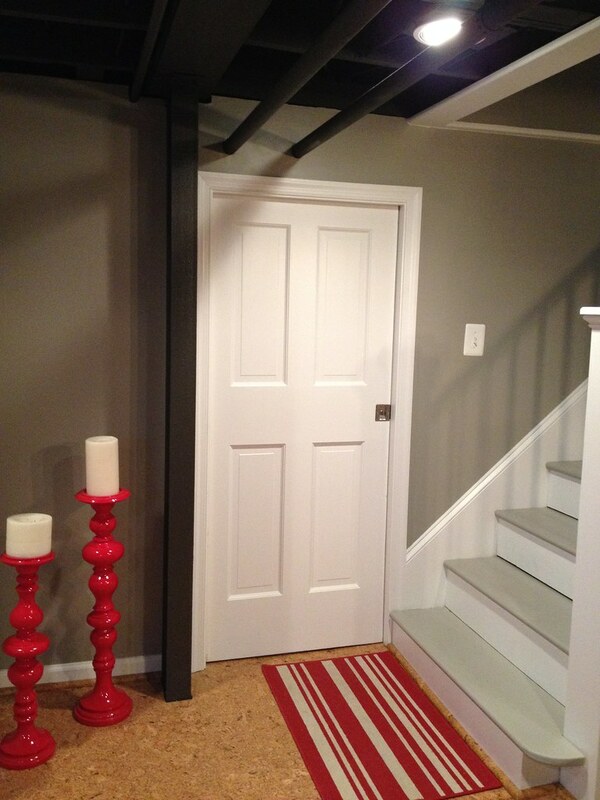 Their contractor took a door that was leftover after they renovated their main level two years ago and converted it into a pocket door to the utility room. 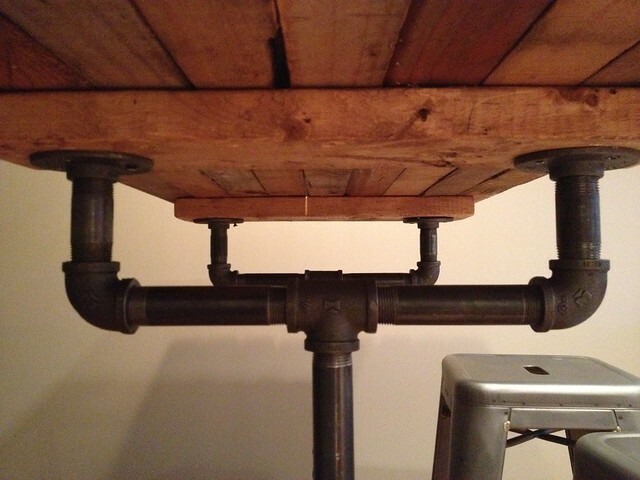 The bar table was an Etsy find made of reclaimed wood and pipes. 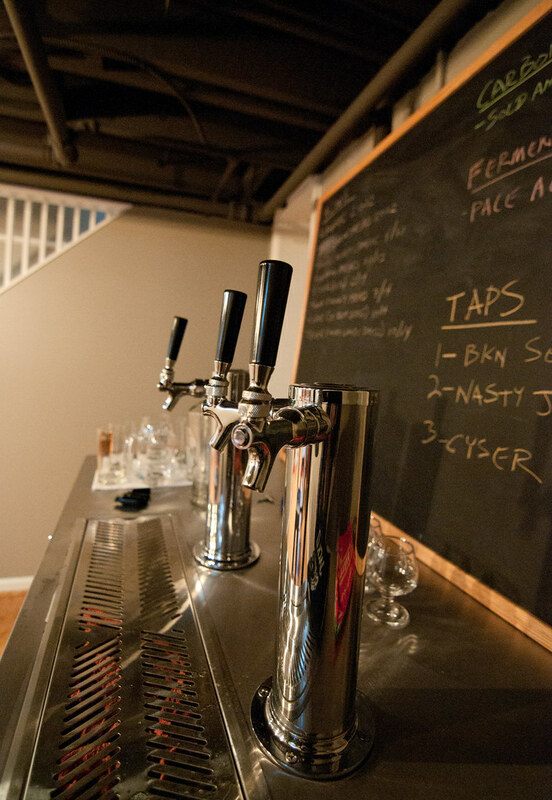 There’s still wall art to hang and perhaps a few more pieces of furniture (the sofa was delivered the day of the party), but the Howell Avenue Taphouse is “open” for business. 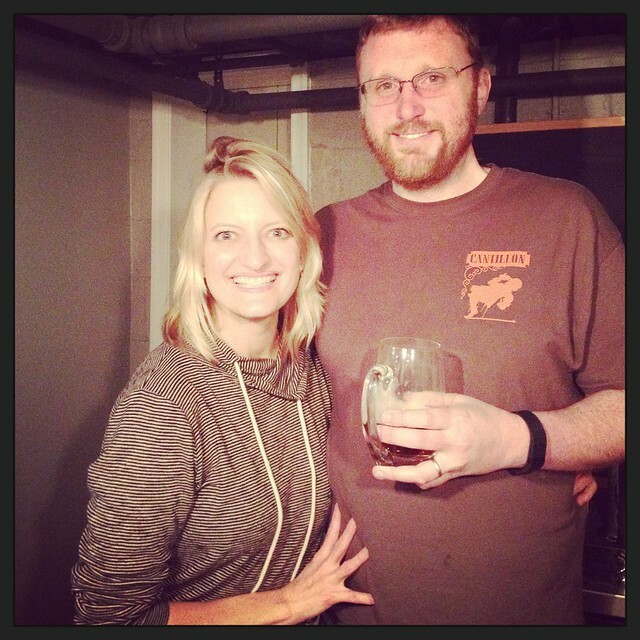 Cheers Matt and Angela! 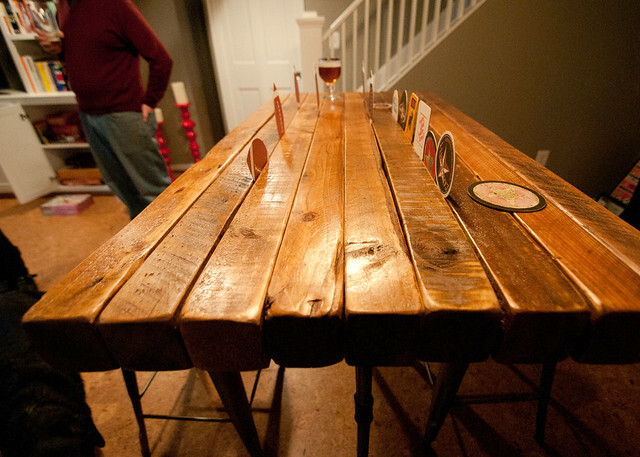 Thank you for sharing our space, DIY Del Ray. 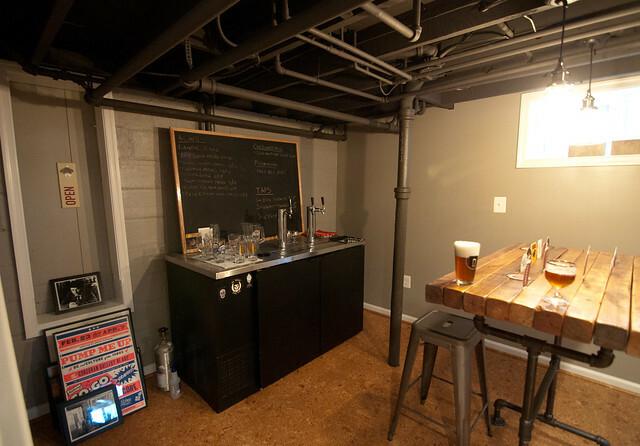 We went a bit over our budget, but every piece was worth it from the flooring, ceiling, tap system, built-ins, and bar table. We’re so happy with our new space. 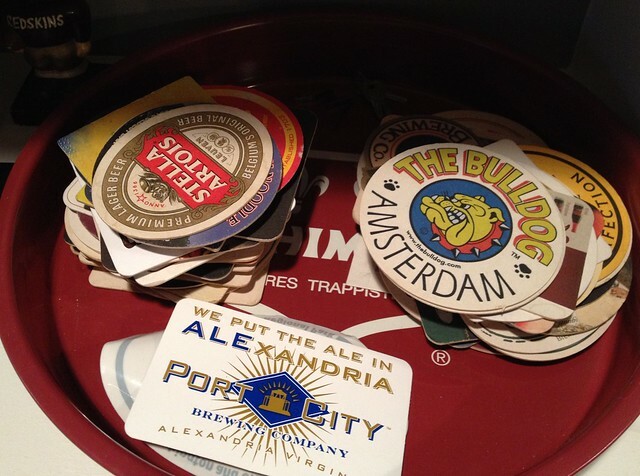 Come over for a brew anytime! It looks amazing Churchills! Congrats!